"This Book Makes Me Cook", the book club Bhags and I started exactly a year ago, is now 11 member strong. We have read some great books in the last 12 months, some old favorites, some classics. And in Joanne Harris, most of us have found our favorite fiction writer. We began in June with Chocolat, the first book in Joanne's food trilogy. We end May with the last one in the series : Five Quarters of the Orange. This is a book about the irreversibility of what wars bring. This is also a book about the most merciless and selfish of the human tribe : the children, whose world so focuses on what they want and need that they shut out the consequences. Some would say they don't know better. Maybe Framboise, our nine year old heroine, did not. When I come back from random shopping trips with stuff I don't have immediate use for, I stick in this one compartment in my fridge. That's one compartment I dare not look into often, for who knows what I will find. Like I was looking for some chocolate, and there was this packet called red camargue and wild rice. Quite a shock it was, of the "how come it's still here unopened, and just two months away from it's best before date!" variety. So I'm warning you now, you are going to see this wild rice a few times here before the end of July. This first version is a salad lunch I made with whatever else was in fridge at the time. Washed 1/2 cup rice and soaked it for 15 minutes. Then added 1 cup water, brought it to a boil and simmered until the water was absorbed and the rice was cooked. You can substitute any rice of your choice and cook it as the package dictates. The inspiration for this rice comes from my favorite Chinese restaurant. When I go to China Gate, I frequently order their corn and mushroom fried rice. I also order a vegetable side dish to go with it, because that's what you do when you eat out. But really, the rice is so good that I can eat it on its own. Which is what I did this lazy summer afternoon. I didn't have any mushrooms in the fridge, but I did have spring onions. So I washed 1/2 cup of rice and soaked it for 15-20 minutes. In the meantime, I chopped 2 spring onions, greens and all. Took out a large handful of fresh corn. Finely chopped a garlic clove. The rest is easy. I know, I know! I've been eating way too many desserts this past month. But what's one to do when temptations come your way. My Taste & Create partner this month is Debbmarie of Let them Eat Cake. She's a daring baker, a member of cake slice bakers and even a part of cookie carnival. In short, her blog is one sinful delight after the other. That just matches the mood I've been in lately. Another thing on my mind, ever since the daring bakers made flourless chocolate cake in February, has been to bake me a Valentino. So call me crazy or whatever, but I decided to pick this daring bakers challenge from my partner's website. First cherries of the year! Showcased in a tart made from my leftover cookie dough filled with cream cheese frosting that was swirled with some melted cherry preserve. My sixth entry for Srivalli's Mithai Mela. Wow! What a lot of desserts I have been eating last one month. In July 2007, the three bakers from A Year in Bread received copies of Daniel Leader's new book, Local Breads. The book chronicles regional bread recipes across Europe. The trio would have loved to bake sourdoughs from the book, but they had took pity on clueless souls like me and decided to do Italian breads. Those that use a biga and don't need a whole week to ferment. I first picked Susan's Puccia - lovely olive rolls, and you try resisting that name. But Susan recommends oil cured black olives and I didn't want to substitute my olives in brine. And I didn't like the idea of grapes on focaccia (so Kevin's probably mad at me because I've never picked any of his breads, but I'd make up for it, promise!). And Beth? she made Rosemary Filone. I loved her bread, but I am not a fan of rosemary so I made thyme filone instead. Followed her recipe exactly but for this one change. Can you think of a better description of a summer lunch? Watermelon Feta Salad goes to Maheshwari's AFAM, hosted this month by Ashwini with the theme "Melons"
Yes, my second cookie post in a row. Thumbprint cookies sprung all over the net in the past couple of weeks. So called because you make an indent with your thumb that's then filled with jam. I saw them on at least three blogs I frequent, and they are so cute I just had to try them. Here's my version : a nutty cookie with cherry preserves. Cream 60 gms butter with 30 gms caster sugar. Mix 1/2 cup flour with 1/4 cup ground almonds and add to the creamed butter. Mix to form a dough, then chill in the fridge for half an hour or so. When I go back to a favorite restaurant after more than a year, I usually expect to be disappointed. The menus change, chefs leave and your favorite dishes go away. But not so with Colaba's Indigo. I returned for a much overdue trip last weekend fully expecting to be pampered with excellence in everything : ambience, service and food. The ambience : Indigo is a converted bungalow and you can pick from choice of four seatings. Alfresco dining just as you enter is charming but impractical in Bombay heat. Then there's a bar indoors, formal dining rooms on either side and a lovely terrace lounge. Because it was a dry day (one of the 4 days a year when it's illegal to sell alcohol), we could pick our choice of seating. Don't show up without a reservation on any other day. The service : Impeccable, attentive, without becoming overbearing. Service this good is rare in Bombay. 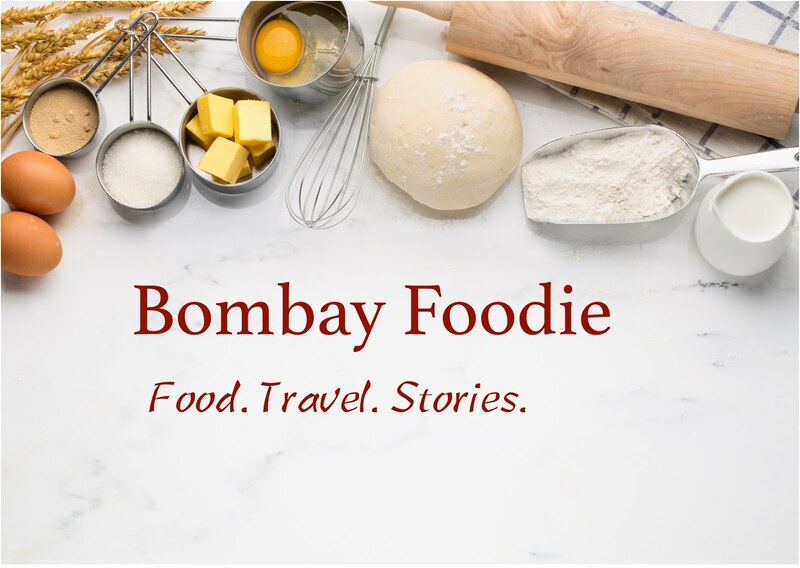 Because I live in India but read cookbooks from all over the world, you can't imagine how difficult it is to find ingredients or equipment sometimes. Specially when it's something silly and minor like baking parchment. That little silicone coated paper is the difference between successful macarons and the two stick-to-the-sheet failures that I've had. And that little silicone coated paper is what I can now buy in my city. Mumbaikars - head to Hypercity before they sell all the Waitrose baking parchment they are hoarding. Even with the parchment, I wasn't ready to risk a proper macaron. Then I thought of long bookmarked Coconut Macaroons over at David's. It requires no beating or complicated mixing. Just cook egg whites, coconut, sugar and honey over a low heat then stir in vanilla and cool the mixture. Some flavors go together so well that chefs should be fined for not pairing them more often. Take mango and chocolate; the reason you see one solitary cheesecake up there instead of six. But I digress. This story starts with daring bakers and cheesecakes. Towards the end of every month, there is an explosion of a single recipe in the blogsphere. Thousands of daring bakers make scary things like lasagne or flourless cakes. But in April, they made cheesecake. I am not a daring baker, and don't have enough sense of adventure to be one. But cheesecake has been on my to-make wishlist for a long time. The daring bakers recipes usually make huge quantities, but Olga cut down the recipe and made her cheesecake in muffin tins. I scaled down the recipe to 1/3rd, brought out my 6 brioche cups and made plain cheesecake cupcakes.